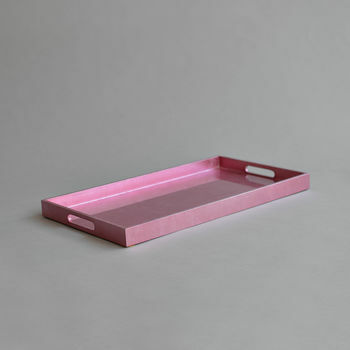 These rectangular serving trays have been hand lacquered in a range of beautiful, contemporary colours. 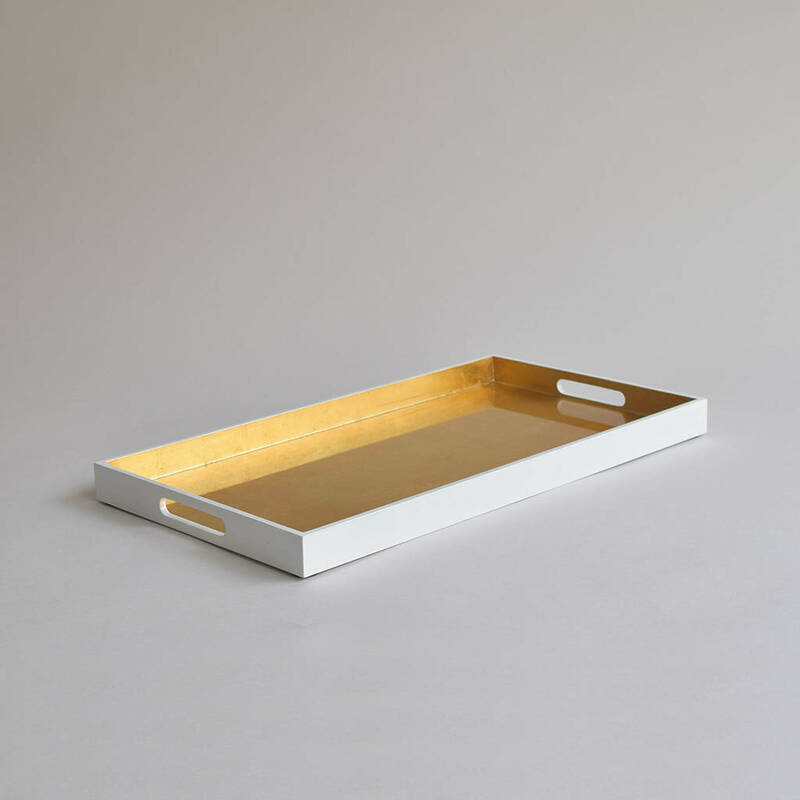 Each tray has over 12 layers of natural lacquer, creating a high gloss, mirror like finish. 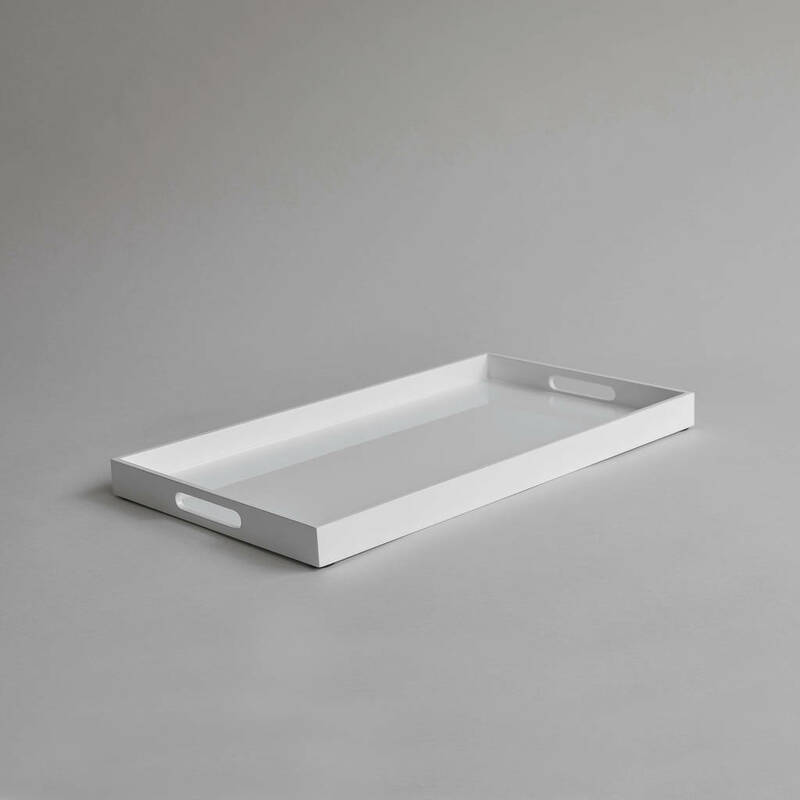 All our trays are resistant to heat and liquids, perfectly suited for serving tea and are also completely food safe. Food can be presented directly on the tray, an inventive way to serve sushi, canapés and cakes. 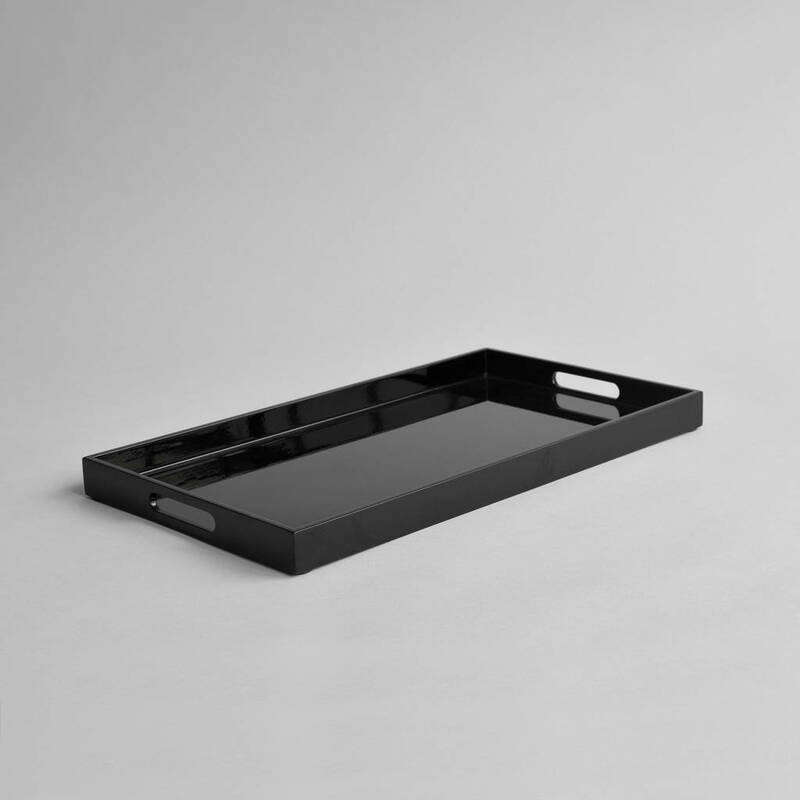 Our trays are available in a silver-leafed blue, high gloss black or white, and an intricately hand finishes eggshell crackle pattern. Clear natural lacquer on wood. Wipe clean with soapy water, polish with a household varnish to maintain high gloss shine. This product is dispatched to you by Nom Living.